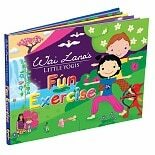 Shop Wai Lana Little Yogis Fun Exercise Book (1 ea. )1 ea. 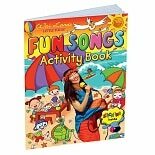 Shop Wai Lana Little Yogis Fun Songs Activity Book (1 ea. )1 ea. 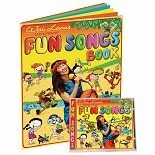 Shop Wai Lana Little Yogis Fun Songs CD & Lyrics Book (1 ea. )1 ea. Looking for fun activities to keep your child engaged and spark his or her imagination? Coloring books provide a great activity that kids can do anytime, anywhere and provide an alternative to television and video games. At Walgreens, we have many fun coloring books available for your own children or to give as gifts for any occasion. Coloring books for kids are softbound paper books filled with black and white images with large sections that can be colored with crayons or colored pencils. Kids can choose to make the pictures look realistic with their color choices or design something wild and imaginative. Some coloring books are also activity books. They may contain puzzles like mazes, word searches and matching activities as well as the coloring pages found in standard coloring books. There are many benefits to having coloring books at home for children. Coloring helps to build fine motor skills and early writing skills that can benefit children later in life. Activity books also build early problem solving and critical thinking skills. Having coloring books on hand can provide a great activity for rainy days. You can also take coloring and activity books with you when you travel for kids to use in the car or on a plane or train. Coloring books are also great, quiet diversions during long waits at restaurants, at the doctor's office or anywhere else that your day takes you. 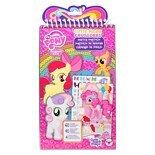 You'll find many coloring and activity books available here at Walgreens with options that are perfect for every child. To find the perfect one, you'll need to compare the features of the books. Most coloring books are made for a specific range of ages, making it important that you select an option that is appropriate for your child. Some coloring books come with a set of three or four crayons and can be a great option for traveling or use on the go. Books vary in their subjects with everything from familiar cartoon characters to favorite toys to new friends waiting to be discovered by kids.